When you make driver and fleet safety a top priority, you can reduce your Inspection Selection System (ISS) score and reap valuable business benefits. High ISS scores mean more roadside inspections – more downtime, disruption and delays. When you take action to improve driver and fleet safety, you can reduce your ISS score and avoid being pulled in. Your drivers will appreciate fewer delays. Your customers will appreciate your reliability. And insurance carriers will be eager to compete for your business. 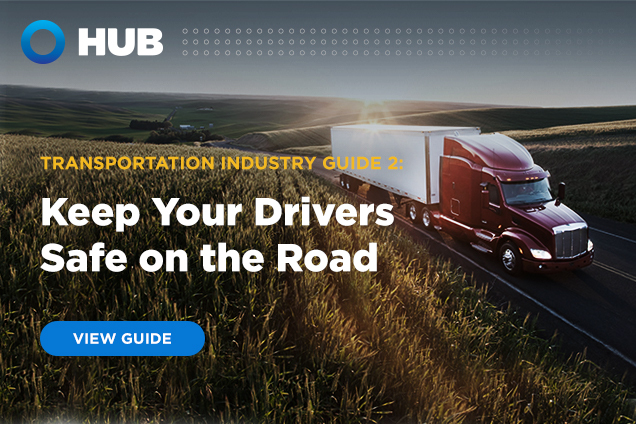 HUB International has compiled a comprehensive collection of actions you can take to address the seven Behavior Analysis and Safety Improvement Categories (BASICs) set out by the FMCSA – actions that can reduce your ISS score and make your company more attractive to drivers, customers and insurers. HUB International is one of the nation’s largest insurance brokers specializing in the trucking industry. They’re always sharing timely information to help you address the challenges you face, so when you visit the resource center, be sure to subscribe to updates from HUB. Our insurance and risk management specialists can help you get where you’re going, with advice on how to attract and retain drivers, improve safety scores and ensure compliance. So you can focus on what matters most: delivering for your customers. Learn how we can help protect your bottom line with comprehensive business insurance, employee benefits and risk management solutions for motor carriers and owner-operators. Contact a HUB broker today at hubtransportation.com.